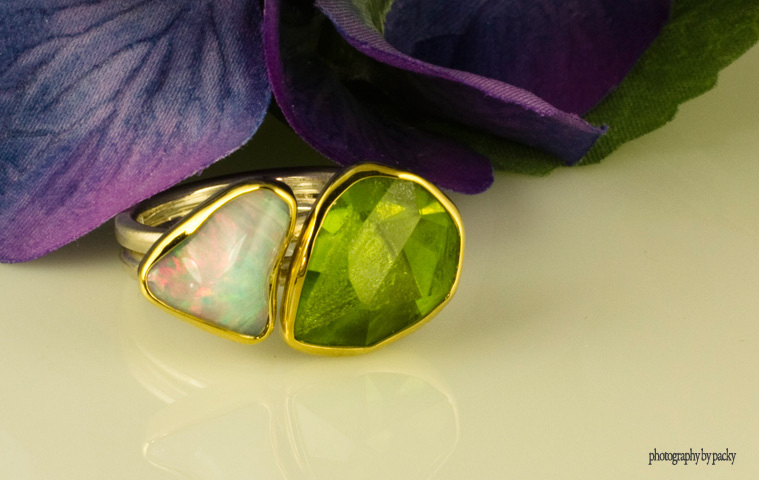 An opal and peridot handmade ring from Greece with 18 karat yellow gold and silver that is set with an organic cut peridot and opal…..we love it! If you would like to see this ring or more rings like this come to Manoli’s Jewelers in Springfield MO. Hello – What is the price of the “Opal and Peridot Handmade Ring from Greece”. I’ve been looking for a piece of jewelry with both of our childrens’ birthstones for my wife for Mother’s Day and this is beautiful. Also, can you please provide additional photos of the ring? This is a great ring and I am replying to you via email.